After over 2 years of taking prerequisite classes (over 12 classes! ), doing hundreds of observation hours, writing essays and studying for and taking the GRE’s (just last week! 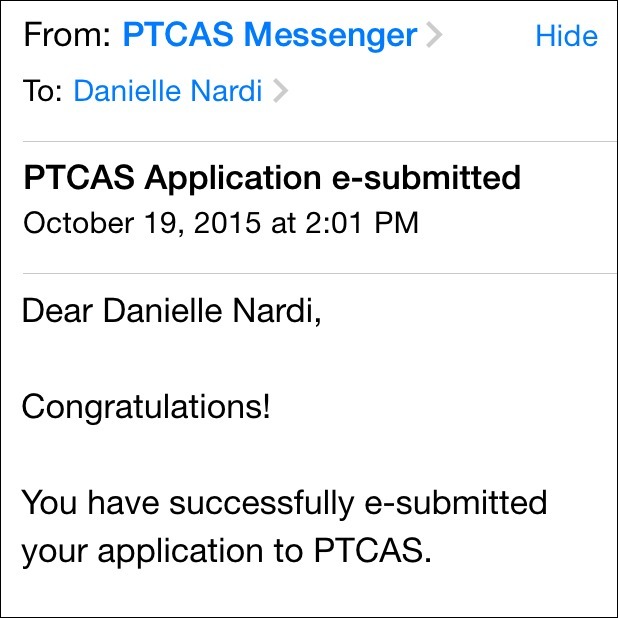 ), I FINALLY submitted my applications to Physical Therapy Doctorate programs! I have to admit I am CRAZY nervous about actually getting into a program, but at this point I need to recognize that I’ve done my best and hopefully someone will want me! It’s felt like a long journey so far since I left my job to go back to school, but really this is just the beginning, once I (hopefully!) get into a program it’s another 3 years of PT school! 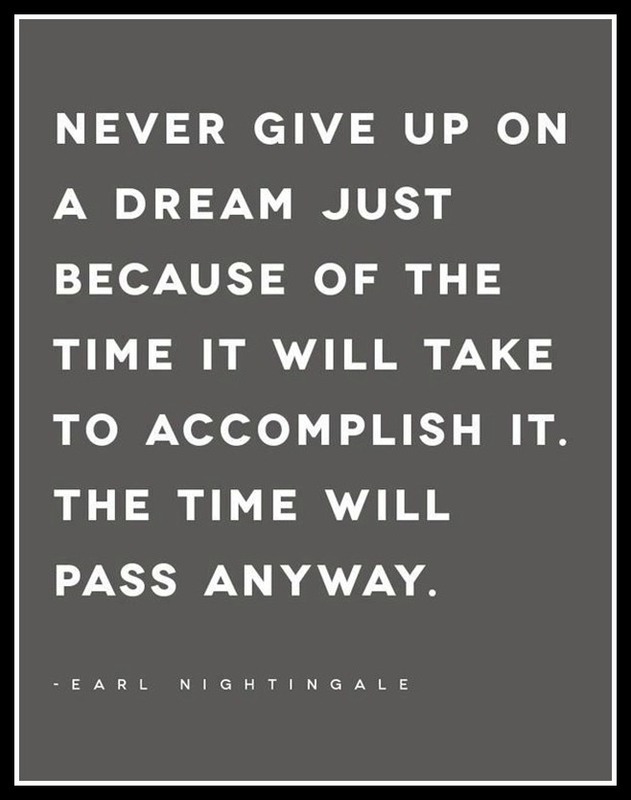 I keep reminding myself that while sometimes it feels as if I’m not making any progress at all, I just need to keep moving forward (kind of like running, right?!?). I won’t hear back from schools until around February unfortunately, so please keep your fingers crossed for me and think happy “accepted” thoughts for the next few months! You go girl! Congratulations and we’l keep our paws crossed for you!! Congrats Danielle!!! Will keep you in my thoughts and fingers crossed that you are accepted!! Good luck! I hate that you have to wait so long but the fingers are crossed you get in! CONGRATS! I know you will get in! Congrats! I love that quote. Every since I saw that quote it seemed so appropriate for this journey! Upside, you have a marathon this weekend to take your mind off applications! Good luck! We know you’ll get in we have faith in you! You’ve got this in the bag. 🙂 See you at MCM! congrats and good luck! I am currently in a Doctor of Education program and it is a lot but so rewarding at the same time! I AM SO PROUD OF YOU! It takes a lot of guts to do what you’re doing. What a huge milestone for you! 🙂 I’m excited to see where you will be heading next fall! Congratulations! Fingers and toes crossed for you. Congratulations!!!! I’m so impressed with how you’ve gone through this journey. Sending lots of “accepted” vibes into the universe for you!